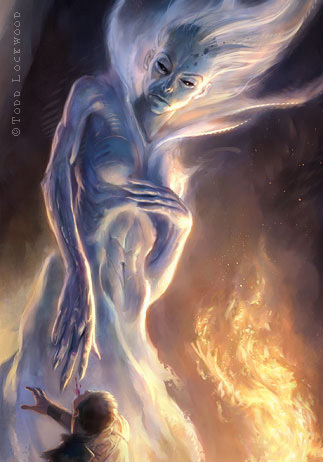 Cover art for "Twilight Herald,"; by Tom Lloyd. This was great fun to paint. 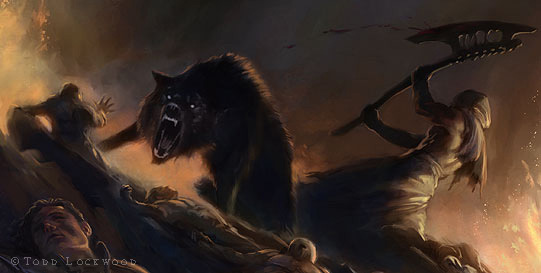 Five Reapers - avatars of Death - appear in a battlefield: the Wither Queen, whose touch causes horrible death; the Burning Man; the Soldier; the Headsman; and the Great Wolf. Early in the book, they are being painted on a wall. By me.